La Comisión Europea, con fecha 20.12.2011, lanzó la Propuesta de DIRECTIVA DEL PARLAMENTO EUROPEO Y DEL CONSEJO relativa a la contratación pública ante la necesidad de actualizar la normativa comunitaria en materia de contratación pública. 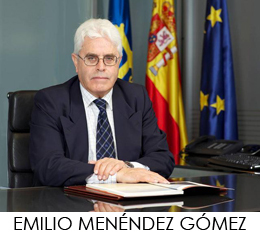 Entre los objetivos que persigue la Comisión Europea (Comunicación de 13 de abril de 2011 titulada «Acta del Mercado Único: Doce prioridades para estimular el crecimiento y reforzar la confianza») se encuentra la la revisión y modernización del marco normativo de la contratación pública para flexibilizar la adjudicación de los contratos y para que los contratos públicos puedan servir mejor como apoyo de otras políticas. Incrementar la eficiencia del gasto público para garantizar los mejoresresultados posibles de la contratación en términos de relación calidad/precio. Esto implica, en particular, simplificar y flexibilizar las normas sobre contratación pública vigentes. Unos procedimientos más racionales y eficientes beneficiarán a todos los operadores económicos y facilitarán la participación de las PYME y de los licitadores transfronterizos. Permitir que los compradores utilicen mejor la contratación pública en apoyo de objetivos sociales comunes como la protección del medio ambiente, una mayor eficiencia energética y en el uso de los recursos, la lucha contra el cambio climático, la promoción de la innovación, el empleo y la integración social y la prestación de servicios sociales de alta calidad en las mejores condiciones posibles. 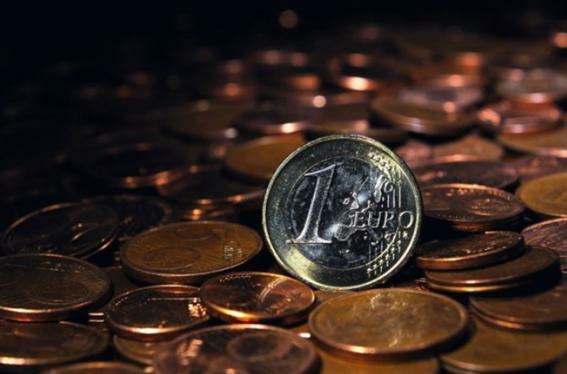 Public authorities in EU spend 18% of EU GDP, worth 420 billion euros in total. Therefore the agreement will significantly contribute to achieving the objectives of the Europe 2020 Strategy to ensure the optimal use of funds in order foster growth and job creation. (1) The award of public contracts by or on behalf of Member States authorities has to comply with the principles of the Treaty on the Functioning of the European Union, and in particular the free movement of goods, freedom of establishment and the freedom to provide services as well as the principles deriving therefrom, such as equal treatment, non-discrimination, mutual recognition, proportionality and transparency. However, for public contracts above a certain value, provisions should be drawn up coordinating national procurement procedures so as to ensure that these principles are given practical effect and public procurement is opened up to competition. (2) Public procurement plays a key role in the Europe 2020 strategy6 as one of the market-based instruments to be used to achieve a smart, sustainable and inclusive growth while ensuring the most efficient use of public funds. For that purpose, the current public procurement rules adopted pursuant to Directive 2004/17/EC of the European Parliament and of the Council of 31 March 2004 coordinating the procurement procedures of entities operating in the water, energy, transport and postal services sectors7 and Directive 2004/18/EC of the European Parliament and of the Council of 31 March 2004 on the coordination of procedures for the award of public works contracts, public supply contracts and public service contracts8 have to be revised and modernised in order to increase the efficiency of public spending, facilitating in particular the participation of small and medium-sized enterprises in public procurement and to enable procurers to make better use of public procurement in support of common societal goals. There is also a need to clarify basic notions and concepts to ensure legal certainty and to incorporate certain aspects of related well-established case-law of the Court of Justice of the European Union. (1) In the light of the results of the Evaluation on the Impact and Effectiveness of EU Public Procurement Legislation it appears appropriate to maintain rules on procurement by entities operating in the water, energy, transport and postal services sectors, since national authorities continue to be able to influence the behaviour of those entities, including participation in their capital and representation in the entities' administrative, managerial or supervisory bodies. Another reason to continue to regulate procurement in those sectors is the closed nature of the markets in which they operate, due to the existence of special or exclusive rights granted by the Member States concerning the supply to, provision or operation of networks for providing the service concerned. (2) In order to guarantee the opening up to competition of procurement by entities operating in the water, energy, transport and postal services sectors, provisions should be drawn up coordinating procurement procedures in respect of contracts above a certain value. Such coordination is needed to ensure the effect of the principles of the Treaty on the Functioning of the European Union and in particular the free movement of goods, the freedom of establishment and the freedom to provide services as well as the principles deriving therefrom, such as equal treatment, non-discrimination, mutual recognition, proportionality and transparency. In view of the nature of the sectors affected by such coordination, the latter should, while safeguarding the application of those principles, establish a framework for sound commercial practice and should allow maximum flexibility.